All sites are full hook up. We do have a limit of 1 dog per RV site. Bring a propane fire pit if you want to enjoy an evening by the fire. We do not allow wood or charcoal burning. Living in a high mountain desert climate, we experience frequent burn bans. Heaven is a little closer in the mountains. Park models are perfect if you are staying a week or more! We are closed November – March. Welcome to Mt Princeton RV Park & Cabins! 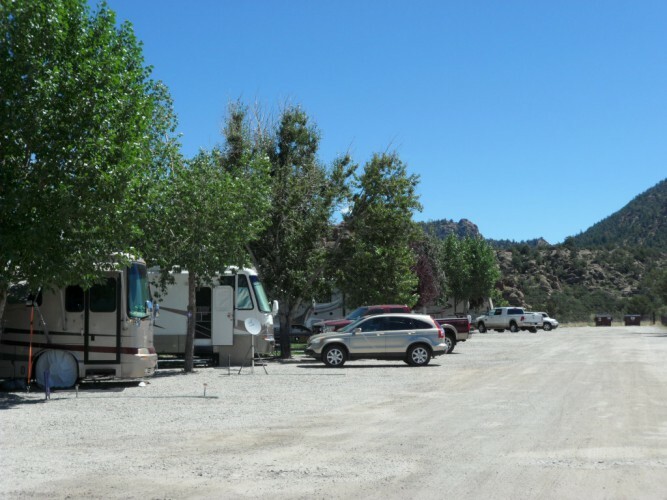 Our RV Park is nestled in the banana belt of Chaffee County, Colorado just north of Buena Vista. Our high mountain desert climate can’t be beat with warm days and cool nights. We are family owned and managed and will be celebrating our 13th Anniversary this summer. We offer nightly, weekly, and monthly stays. Come and stay for a weekend getaway or for a whole vacation. There’s so much to do and see! Trip to the Alpine tunnel with a jeep, hike Interlaken, Chaffee County’s easiest hike, fish from Clear Creek reservoir, visit St Elmo, one of the oldest mining towns in the county and feed the chipmunks. How about rafting the Arkansas River! The list goes on and on. We are centrally located in the heart of Colorado making it easy to take day trips in every direction. How about a train ride in Leadville or go see the South Park City Museum in Fairplay? Spend the day at one of the local hot springs or go see the Royal Gorge Bridge. Our park is less than 30 minutes from numerous trail heads for hiking, biking, and 4 wheeling. Are you retired or just prefer to take your time exploring new places? Seasonal extended stays is what we do best. Ask about our monthly rates and come and be a part of our friendly leisure RV community. We have daily activities at the park that include pot lucks, social hours, board games, and crafts. Join in on 4 wheeling trips, hikes, fishing, golfing, eating out, and exploring the local sights and events.